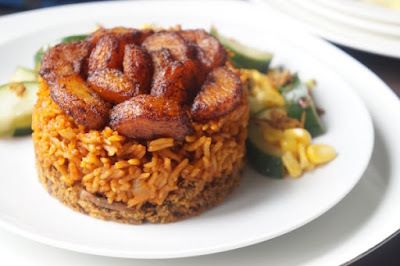 Getting Made in Nigeria jollof recipe down can be very tricky, but the great thing is that once you have it down, you are golden. Always use equal parts rice and water; let steam do the work. Reason being that Jollof should be infused with steam, not boiled. The more you are able to infuse your rice without overcooking, the tastier it is. If you boil jollof on super high heat, it’s pretty much mixed rice and stew . To ensure that the steam stays in the pot, I cover with foil then a tight fitting lead and cook on medium-low heat . People didn’t really understand when I first shared this tip in 2012, I am happy to see that it’s now the norm. I use one heaped tablespoon of paste per 2 fresh tomatoes. If you don’t like canned paste, you can make it yourself or substitute paprika. I also do something which I call the paper towel test. The goal is to take the base oil from A to B as pictured below. If there is too much water in your Jollof, but the texture is just right. 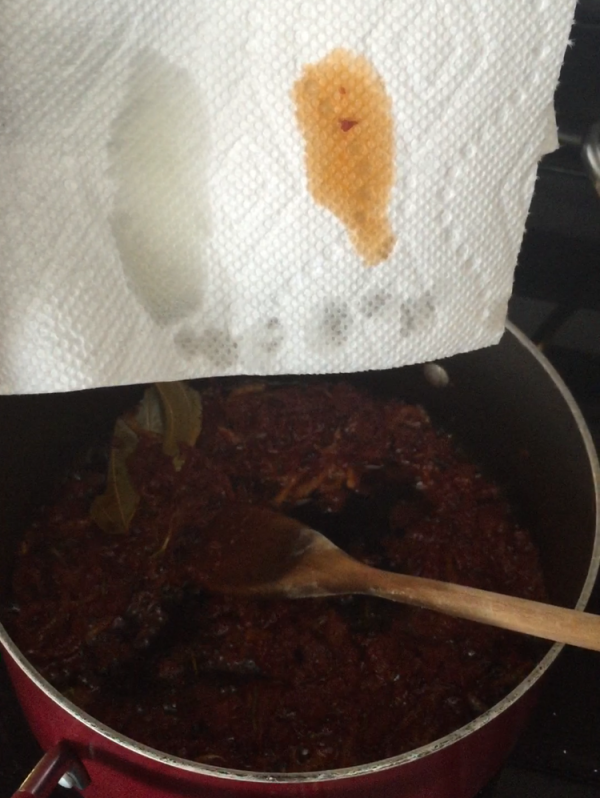 Transfer the rice to a wider pot (if possible), increase the heat to maximum and leave UNCOVERED. The water will evaporate quickly. Is it burning? If yes- add 1 tablespoon of boiling water for every cup of rice in the pot. COVER TIGHTLY. Increase heat for about 1 minute (this is to bring the water to the right temperature) immediately turn off the heat, switch the rice to a different burner that isn’t warm, leave covered for 10-20 minutes depending on the size of your rice. Not burning – Turn off the heat but leave the rice covered for another 8-10 minutes, the retained heat and steam will continue to cook the rice. 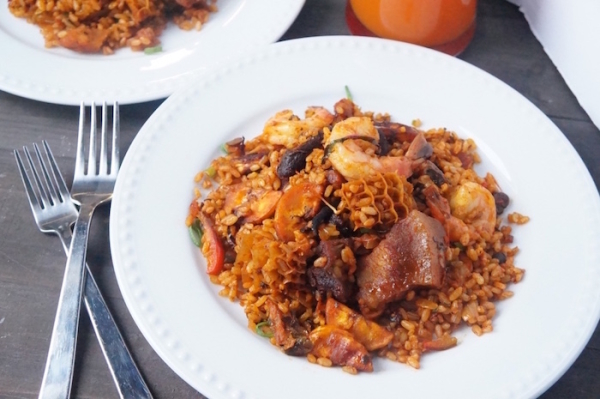 The unique taste of jollof comes from the cooking technique as well as basic seasonings and spices. 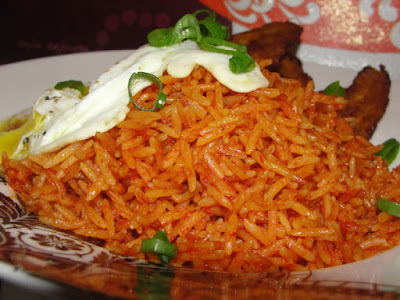 General flavor profile of jollof has Bayleaf, tomato, onion, bouillon (maggi), curry, thyme and salt. I have seen very old West African cookbooks with unique ingredients like nutmeg. I also know some west African countries put ginger and garlic in theirs. It’s up to you to find the flavour pairing you enjoy the most, make sure the basics are included and build on those flavors. 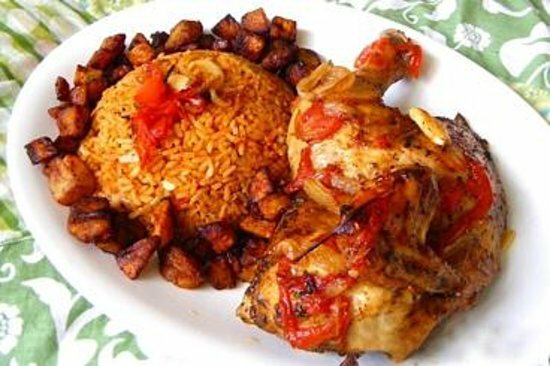 Also, do not be afraid to add more seasonings and spices after the rice is cooked, just make sure your rice is still hot when you do. There you have it folks! 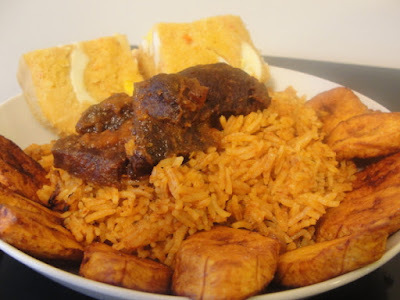 enjoy jollof day, cook a pot or two and share with family and friends. 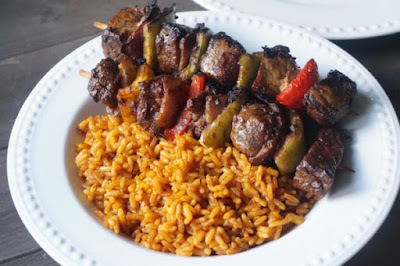 Have jollof related questions? tips? concerns? Be the comment pioneer, start a conversation below.